From the publisher: Things have been quiet in the coastal town of North Harbor, Maine, since Sarah Grayson and her rescue cat, Elvis, solved their first murder. Sarah is happy running Second Chance, the shop where she sells lovingly refurbished and repurposed items. But then she gets dragged into a controversy over developing the waterfront. Most of the residents—including Sarah—are for it, but there is one holdout—baker Lily Carter. So when Lily is found murdered in her bakery, it looks like somebody wanted to remove the only obstacle to the development. But Sarah soon discovers that nothing is as simple as it seems. Now, with the help of her cat’s uncanny ability to detect a lie, Sarah is narrowing down the suspects. But can she collar the culprit before the ruthless killer pounces again? Secondhand/repurposing shop owner Sarah Grayson and feline lie detector Elvis return for their second adventure in Buy a Whisker. North Hampton, ME, is buzzing with news of a proposed waterfront development which will be a boom for the town. The only holdout is bakery owner Lily. Her lone opposition is snuffed out when she's found dead at the bottom of the basement stairs. Sarah and Elvis start sniffing around and discover that Lily has been at the center of controversy before, leaving a fairly long list of people with a motive for murder. I am absolutely crazy about this series. First, I love cozies set in Maine. It's one of my favorite settings. The cast of characters is phenomenal, particularly Sarah's elderly lady friends Liz, Rose, and Charlotte, who call their detective agency Charlotte's Angels, but also remind me of the Golden Girls. Sarah's love life takes a startling turn when she appears to start having feelings for her "jack of all trades" employee Mac. I can't wait to see how this plays out, as well as how things go with Rose moving into Sarah's old Victorian. I loved every minute of this book and it was over all too soon. Elvis is a little heartbreaker and did a flawless job helping Sarah weed through her list of suspects. The final pages are gripping and left me on pins and needles for book 3, A Whisker of Trouble, due February 2016 and previewed at the end. Oh, fun! I really enjoyed "The Whole Cat and Caboodle," so I'm looking forward to this book. I absolutely agree that Maine is a wonderful setting and that the characters in this series are a special group. Thanks for teh review and chance to win! I've put this series on my TBR list after reading The Whole Cat and Caboodle. Love Elvis! I'm not sure have I missed this series. Thank you for the chance to win a copy! I would love this! This is one of my fave series and authors! I would love to read this book—thanks for the chance to win a copy! Sounds like a great book, would love to read it! Thanks for a chance to win! Thank you for the great review, Melissa. Good luck in the giveaway, everyone! This cat Elvis I simply MUST "meet". Thanks for a chance to win the book. I read book 1 and can hardly wait for this one. Love Elvis!!!!! Thank you for the Giveaway!!!!! Pretty book cover. Sounds like a great book. Thanks for the chance. I love her Mystical Cats series, but haven't gotten around to reading this one. I need to remedy that! That sounds like a perfect trifecta. Thanks for the chance! This sounds like a great book! Cat cozies always make me smile. Looking forward to reading more about Sarah and Elvis! Thanks! This sounds like a great book! It's always fun to find books that are set in our favorite or most familiar places. Whenever I read a really good book I feel like I've lost a friend when it ends. Sounds wonderful, I would love to be entered in the draw. 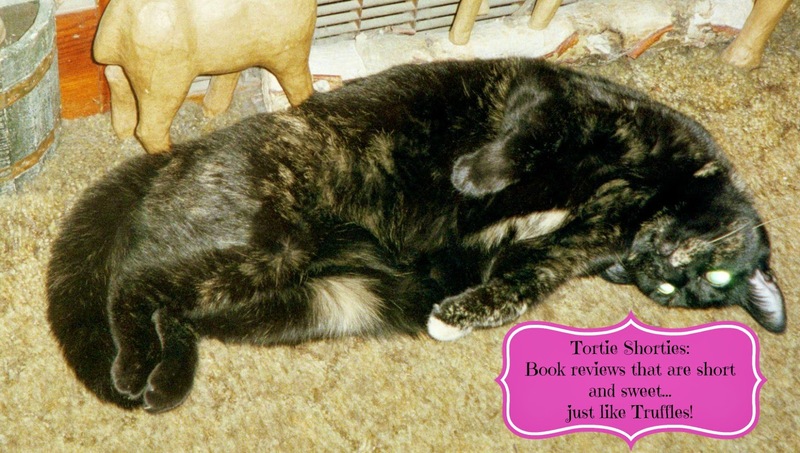 Truffles … did that book put you to sleep?? Heh. Looking forward to reading this one. A Pocket Star E-Book Kentucky Derb-E Treat!